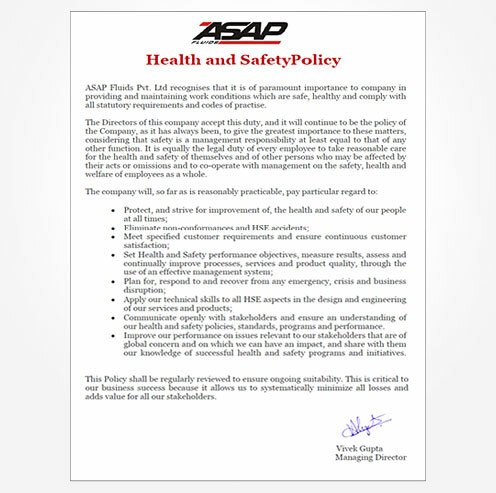 At ASAP Fluids, we are proud of our impeccable safety record which is a result of the culture across the organisation. Every member of Team ASAP is committed to the continuous improvement of environmental, health and safety performance to help achieve the greatest benefit for all our customers, communities and employees. 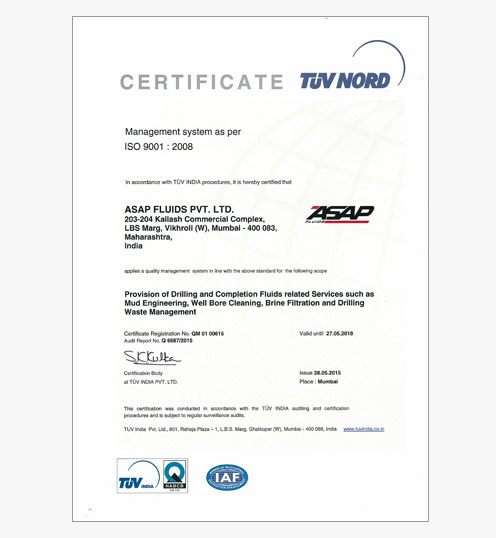 ASAP Fluids has a technical support structure and resources including extensive laboratory support, R&D facilities in Mumbai, with a technically sound team and recognised industry experts for specific trouble shooting, technical support of project pre-planning, and continuous optimization. Geared to operate across India with strategic stock points in major hydrocarbon producing areas including Mumbai Port, Ahmedabad (Gujarat) and Kakinada (Andhra Pradesh). We ensure trouble free operations by maintaining adequate inventory levels, certify timely deliveries and our ability to mobilize ASAP.